Inland Texas shapes! As the sport of wakesurfing continues to grow in popularity so too will the boards from the hands of new local surf companies like Tuk Tuk (Austin) and Fitzpatrick Surf (Fort Worth). Along with the addition of new surf parks- NLand Surf Park in Austin and American Wave Machines at BSR (Barefoot Ski Ranch) in Waco, not to mention the ever growing popularity of SUP, Texas based shapers like Tom Haney (Tuk Tuk), Alec Wood (Waterloo), Brock Dumoit (Doomswell), Nick Wiersema (Chaos Surf) and Mike Fitzpatrick (Fitzpatrick Surf) have expanded their reach. A surfboard is a means to surf, it is a piece of art and most importantly, it is a relationship. The growth of wakesurfing in Texas goes hand in hand with the support of local Texas shapers, local athletes and local surf shops. The good news is that each of these shapers is doing a pretty darn good job at representing Texas. Some, like Brock Dumoit (Houston), with Doomswell Boarding Co, have grown beyond their production capabilities and have expanded into a global market. Tuk Tuk, another Austin based wakesurf company, and its founder/shaper- Tom Haney, enjoy playing around with new shapes and new materials for wake/surf boards in the shaping room equipped with a C and C machine near Steiner Ranch where the annual Barrel Boss wakesurfing competition is held. Meanwhile Alec with Waterloo Soul Craft is enjoying the growth of longboard wakesurfing and shaping the walking blocks of the next big division in the sport, for athletes like their team rider Tegan Gainan. Nose riding behind the boat? Yep! As you take your next step to buying your first wakesurfboard, we would definitely recommend developing a relationship with a local shaper like one of these guys. Staying local and supporting local has always been a Texas sized trend, from music artists like Willie Nelson to local homebrews like Shiner Bock and Titos. Although these shapers will never be as big as Willie Nelson that is exactly the benefit you will receive through your first shape- small and personable. 1. 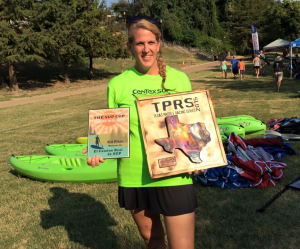 The Texas Paddle Racing Scene is new and exciting and Team DFW Surf women are leading the way in the competitive scene. 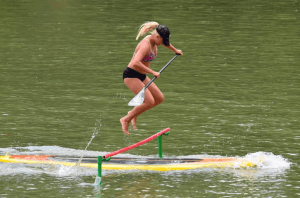 Andra Dunn and Konae Nowell are 2 of Texas Top Paddlers. 2. SUP Yoga- “Girls Only” Event at Life Time Fitness in Colleyville. The first ever class for young active yoga and gymnastic students lead by Instructor Jenn Bodnar. 3. Flower Mound Women’s Group Meetup on Lake Grapevine- throwback to 2012 for a weekly social paddle with who’s who active moms of Flower Mound. 5. 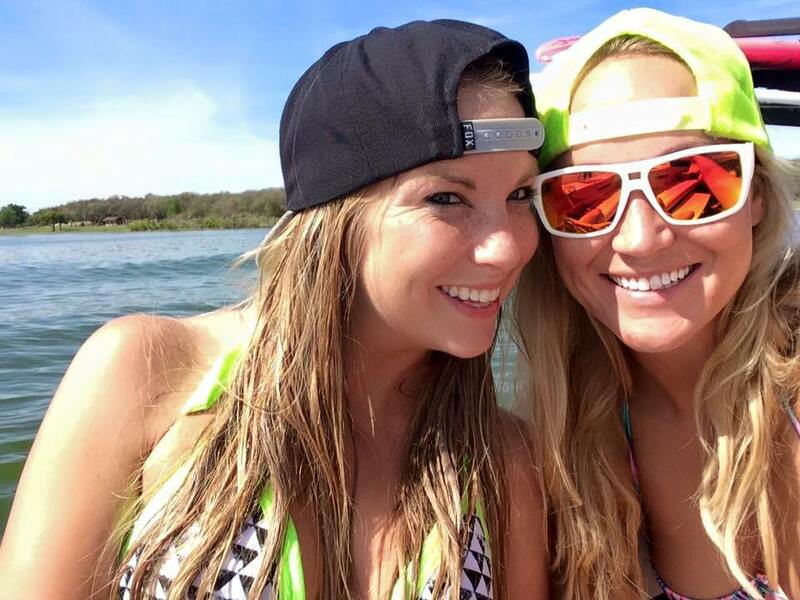 Women’s Wednesdays- DFW Surf Club members meetup and go surf every Wednesday on Lake Lewisville. Stay tuned for Women’s Wednesdays fitness paddle meetups every Wednesday morning at DFW Surf (Frisco) starting May 1. 6. DFW Surf Team Rider Ashley Kidd- 2X World Champ! Check out her winning run HERE. 7. Paddle for a Purpose Fundraiser 2015. A couple guys and nearly 70 strong women gathered in September of 2015 to help raise nearly $80,000 for cancer survivors via the Roughwater Foundation. 8. Claire Morgan- 2015 Surf School Athlete of the Year on top of the podium at USA Nationals in her first competitive year of wakesurfing. 9. 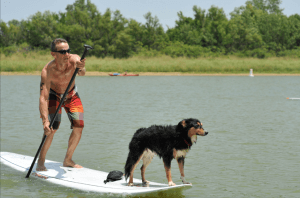 After learning how to paddle from the pros at DFW Surf, Tyler Texas local Debbie Cunningham and family start up a paddleboard company on Lake Tyler called Turtle Island SUP. Besides the fact that the water is very cold this time of year and you probably do not want to fall in on purpose, there are so many reasons why the offseason months on North Texas lakes are a great time to paddle. 1. The Lake is Yours!– Many of us love to get away from the fast paced city world and out to the lake where “lake-time” is our time. The escape for some is to find peace away from the noise of everyday life, somewhere outside, to a place under the sun, to a quiet and relaxing spot away from the crowds. 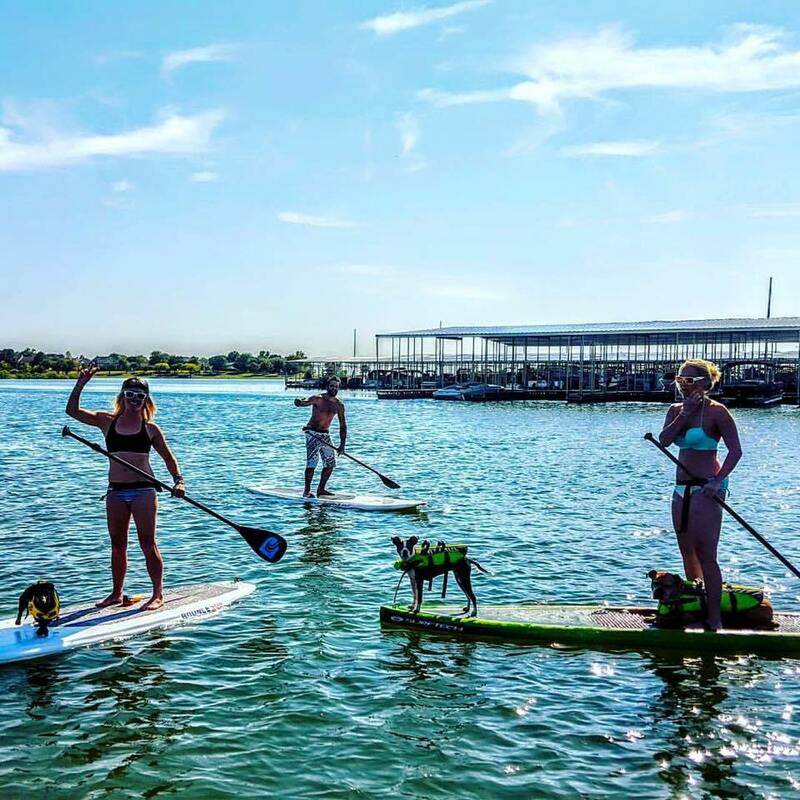 This is offseason paddleboarding on North Texas lakes, where, even on the weekends, lake life is “dead.” Looking to find some peace and quiet on the lake? Statistcally, 90% of lake life activities and lake goers ends after Labor Day. No noise, no boats, no traffic. Just you, your paddle mates and lake time. 3. 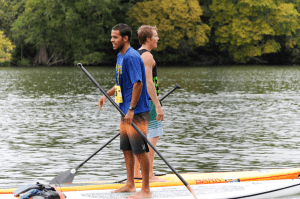 Stay in Shape and Paddle-Fit– Athlete’s who are really into their sports know how difficult it is to get back into shape after being inactive. The secret for runners, bikers and anyone who wants to stay “fit” over the age of 30 is to remain active year round. The winter months are a great time to let your body recover, the key is to remain somewhat active and eat well. In less than a year’s time, Claire Morgan, former equestrian national champ, is now one of the top Amateur wake surfers. What an amazing first season of results: 3rd place at Lake ANNA, 3rd place at 10k Lakes in Minnesota, 3rd place at U.S open, 3rd place AWC Fall qualifier and 2nd place at US Nationals for the amateur women’s surf division. Overall, Claire finished 6th in the world for CWSA (Competitive Wake Surfing Association).